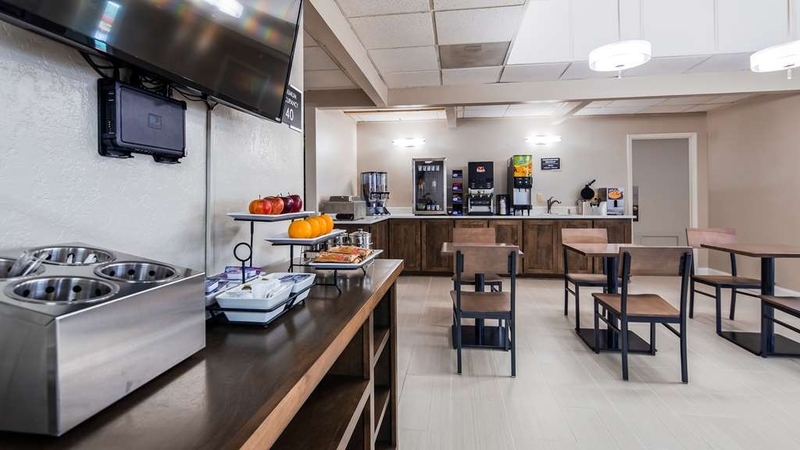 Das SureStay Hotel by Best Western Higginsville ist ideal in Higginsville Stadtzentrum zu finden. Erleben Sie ein schöner Aufenthalt in der Nähe von alle Sehenswurdigkeiten. Bestpreisgarantie und exklusive Angebote. 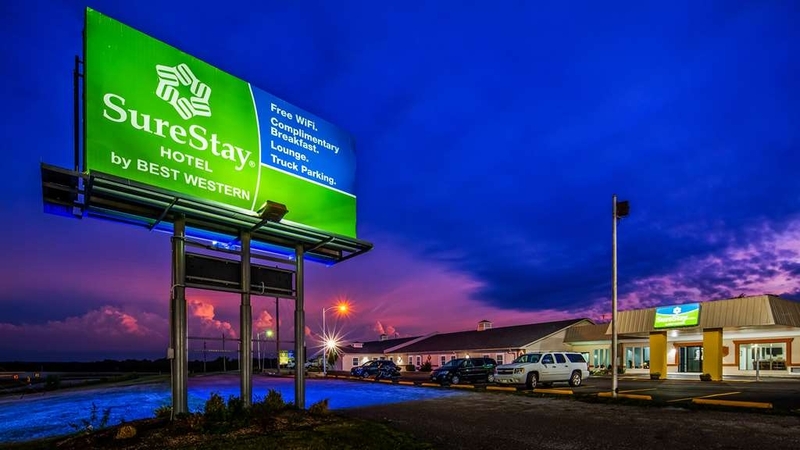 Das SureStay Hotel by Best Western Higginsville befindet sich am Autobahnkreuz von Highway 13 und I-70, nur eine Stunde entfernt von beliebten Sehenswürdigkeiten wie Kauffmann Stadium (KC Royals), Arrowhead Stadium (KC Chiefs) und dem Independence Events Center in Kansas City. Unser Hotel ist günstig gelegen an der I-70, Abfahrt 49, und bietet eine günstige Anbindung an die Autobahn. Bis zum Luftwaffenstützpunkt Whiteman sind es 45 km, während der Campus der Universität von Central Missouri in Warrensburg nur 29 km entfernt ist. Sprint Center & Camper Arena, wo die meisten Großveranstaltungen von Kansas City stattfinden, liegt 80 km entfernt. Gäste können auch den Schauplatz der Schlacht von Lexington und das historische Anderson House im 29 km entfernten Lexington besuchen. This hotel is a solid place. If you dont expect to be staying at a 5 star hotel. There is some work going on but not near rooms. Lots of TV options and nice king size bed. Friendly staff and okay breakfast. Thank you for staying with us. We are still renovating another building and thank you for understanding. We arrived after a 9 hour drive. Very friendly and helpful staff. In the midst of reconstruction and so far, so good with hints of improvements to follow. The room is clean and the bed is comfortable. Our only problem is that the roofing material was loose, so it made noise all night in the wind, but that is something that can be fixed. The breakfast is adequate, but nothing special. Thank you for staying with us and feedback. Sorry about inconvenience about the roof metal. It is fixed. It was winter and they had the heat turned off in the room. It was so cold that ice had formed on the wall and floor by the heater. The breakfast was lacking as at 8:00 a.m they did not have any of the warm food out. They offered to get some warm food and told me they did not make any as there were not many guest. The staff at check in was very friendly, there are limited food options within walking distance. This is a no frills hotel, it was comfortable and clean. Did not use the wifi or complimentary breakfast, so cannot give any feedback on thise services. Would stay again. It's pretty tired. No cold water. When's the last time you heard that? Breakfast is skimpy. TV didn't work. People are friendly and room was clean. Doing construction but that's not what makes it average. Thank you for staying with us. We will check into the issue and address it. Merry Christmas and Happy New Year from Best Western Family to yours. "Military Discount!! Great hotel and wonderful service! " Warrensburg is extremely high priced so I stayed in this hotel. I have stayed in many hotels because I travel a lot with my job and this was better than any fancy hotel I've stayed at. Amazing people run this hotel. Extremely friendly. Thank you guys for your hospitality. First - Thank you for your service. Thank you for your feedback about our customer service. Our help is the best we have that treats our guests like one big family. Please let us know if we can do any more to make the stay more pleasant for our future guests. We look forward to having you as our guest again. Excellent experience and stay.We stayed at this hotel because her daughter was going to college in Warrensburg Missouri. 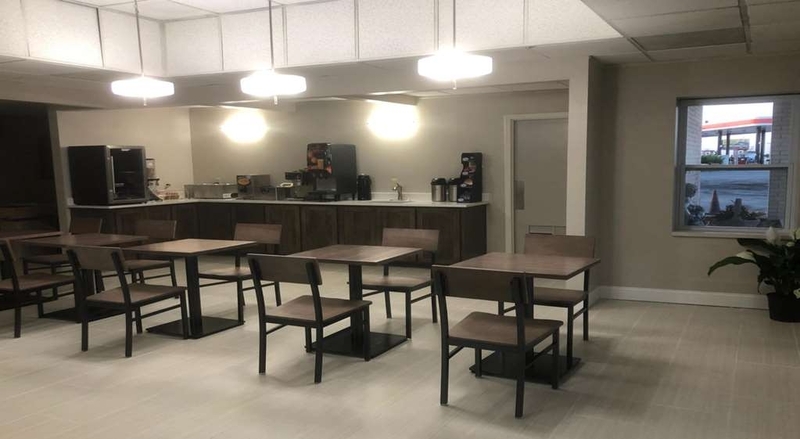 It is right off of Highway 70 so it is approximately 13 miles away from the college but the price was excellent the hotel had just Been renovated. This included fresh paint fresh clean rowels and traditional amenities and facilities and clean excellent condition. This hotel is a great bargain compared to what you may pay closer to the college in Warrensburg. Thank you Jess for your review and kind words. Ensuring our guests have pleasant time and enjoy their stay is our number one priority. Not sure what's going on with this place, but was surprised to see their prices when you walk in are about $25 higher than their advertising. That being said, it was mostly good. Room was dpacious snd mostly clean except for a nasty shower curtain. It was severely soiled probably by a contract worker, should've been laundered. It was pretty quiet except for another guest's yapping dog. The room had all the usual stuff: iron, hair drier, fridge, microwave. I was put at the back of the building, but the back door was damaged so badly the card reader on the door was useless. Anyone can walk right in. stopped for overnight stay while cross country trip. Got way better room that what I anticipated. Neat clean room, great bed, fresh paint and quiet and cozy place. Breakfast was amazing in the morning. Very pleasant staff who went beyond her way to help a me. Highly recommended for excellent service, neat and clean room with great bed. Good deal for money I paid. 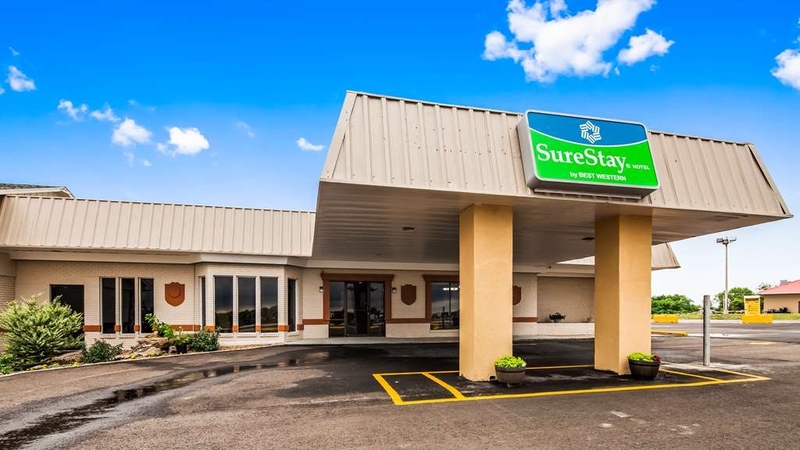 Thank you Barb for staying with us at the newly renovated SureStay Hotel in Higginsville, Mo. We are happy that you enjoyed our service. 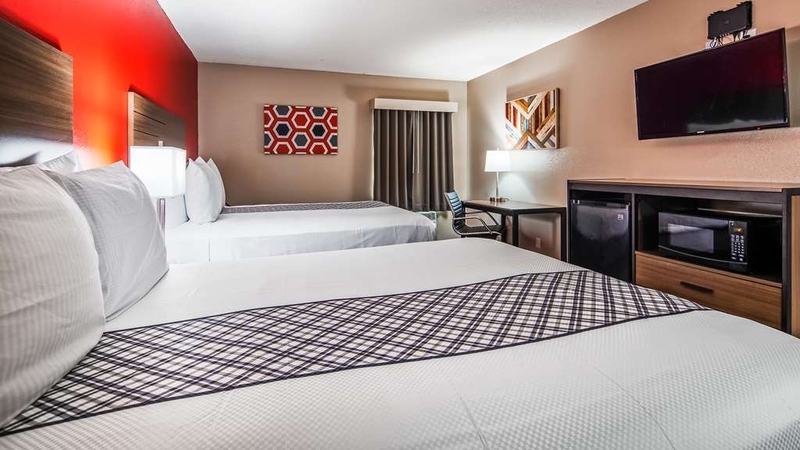 Our goal is to provide that superior service along with clean and comfortable rooms to EVERY GUEST at this hotel. We are glad that you enjoyed our Free Hot Breakfast including sausage, eggs, biscuits & gravy, waffles, toast & bagels. 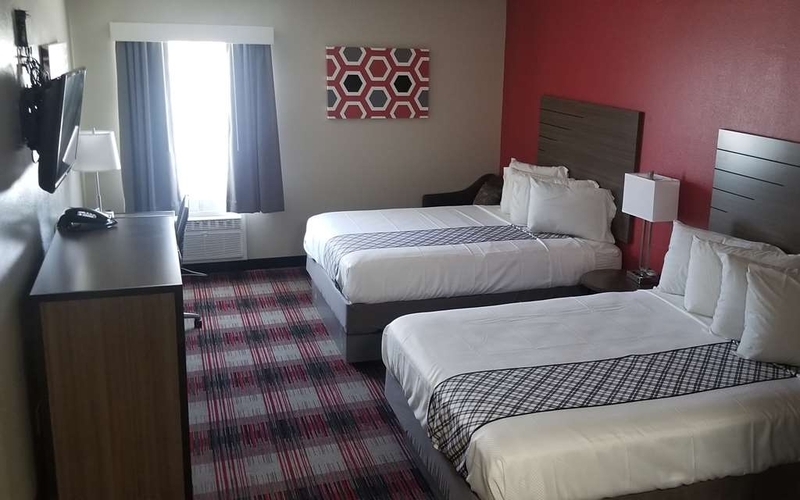 Our brand new beds help weary travelers like you get a good nights sleep which is very important on a cross country trip. If we can be of any assistance in your future travels please feel free to call us at 660-584-3646. We stopped here for one night on a cross country trip. The lady working the front desk was very pleasant and sweet. They are renovating the hotel, and the room we stayed in had just been renovated. It was very clean and quite, with a comfortable bed. Perfect for what we needed. At checkout, we were even asked if we had any suggestions to make the hotel better, which tells me they really care about being a great place to stay. Would definitely recommend for a good night's sleep! Thank you for for such a wonderful review. We are happy that you were pleased with our service and our newly renovated rooms met your expectations of an ideal hotel stay for the night. 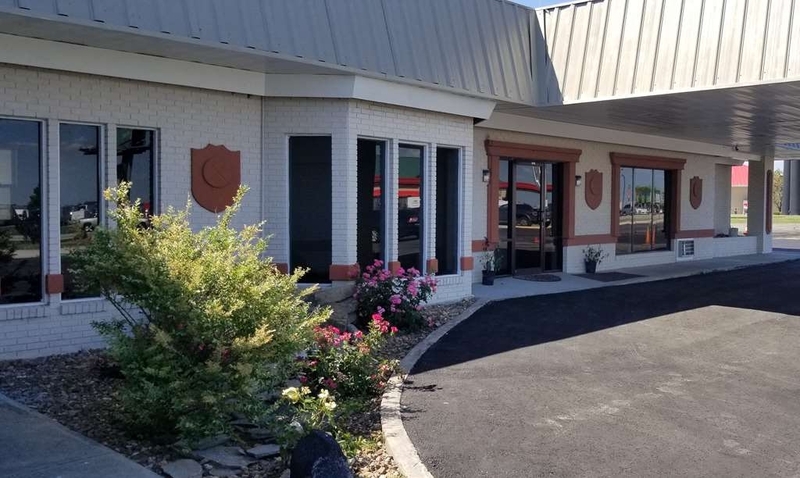 Our goal is to provide the same level of service you received at SureStay Hotel in Higginsville, Mo. to every guest at the hotel. 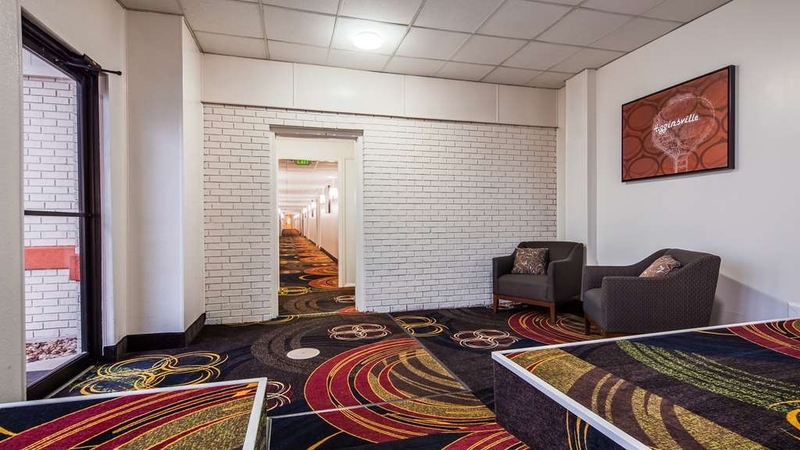 I would also hope you enjoyed our FREE HOT BREAKFAST and FREE WI-FI in the guest rooms and public areas. If there is any other feedback you would like to give us or if we could be of any assistance for your future travel needs please feel free to call us at 660-584-3646. The staff very friendly and accommodating. Put us in a great room, very clean, updated and a decent size. The beds was really comfortable. Also the price was so reasonably!This hotel has been recently remodeled and updated I would definitely recommend this hotel to anyone. We are happy to hear that you enjoyed your stay here at SureStay Hotel. Thank you for acknowledging the friendly and accommodating customer service provided by our staff. It is our goal to provide the same service to every guest, every time. We hope you also enjoyed our free hot breakfast and free Wi-Fi. If we could provide any further assistance in you future travels please feel free to contact us at 660-584-3646. Thank you for your response about your pleasant stay here at SureStay Hotel. "Excellent Hotel, Staff, beds and breakfast"
all 3 of us friends were tired and saw the hotel right across the gas station. Checked the room before renting and wow, the hotel seemed new. rooms looked great and sharp. Lady at the front desk was phenomenal in customer service. Will rate her higher than 5 if I could. Hotel breakfast in morning was a great start to day. They had biscuits, gravy, eggs and sausage patty's. The pictures on trip advisor are old and will highly recommend anyone to go and check this place out. It was a perfect 8 hours stop from our denver area starting location. this will be place we stop again when passing through on Interstate 70.